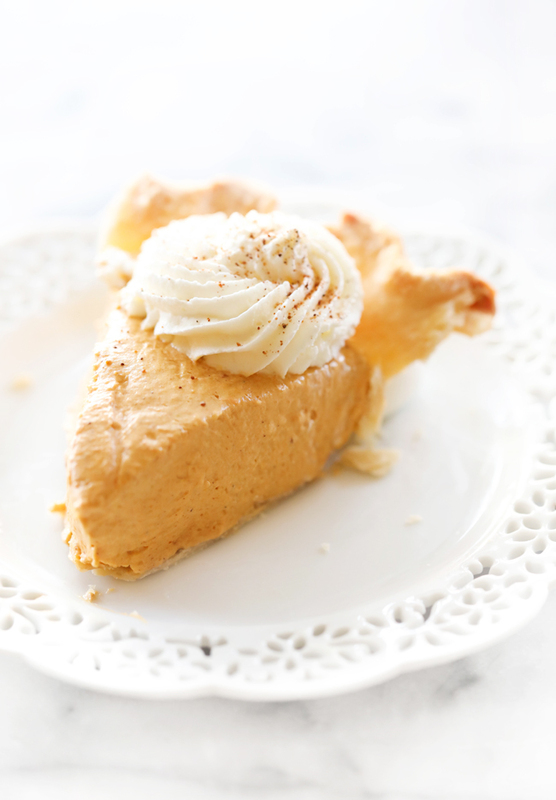 This Marshmallow Pumpkin Pie is creamy, smooth, fluffy and a perfect fall dessert. The marshmallow creme lightens and softens up the texture of pumpkin pie and creates a delicious recipe that will be a hit at the table. Thanksgiving is next week and I could not be any more excited than I already am. Thanksgiving is one of my favorite holidays. In my family, food is a big deal. As I have stated numerous times on the blog, I come from a family of exceptional cooks and bakers. My grandma passed down a love for creating yummy recipe to each and every one of her kids, so when we get together, it is all about the food. The main desserts at our Thanksgiving table are pies. Pies. Pies. and Pies. They range from fruity, to chocolaty, to the classic pumpkin. I have been partings a couple different pies (which will debut on the blog this week) to get ready for next week. The first is this Marshmallow Pumpkin Pie. This recipe is a show stopper. 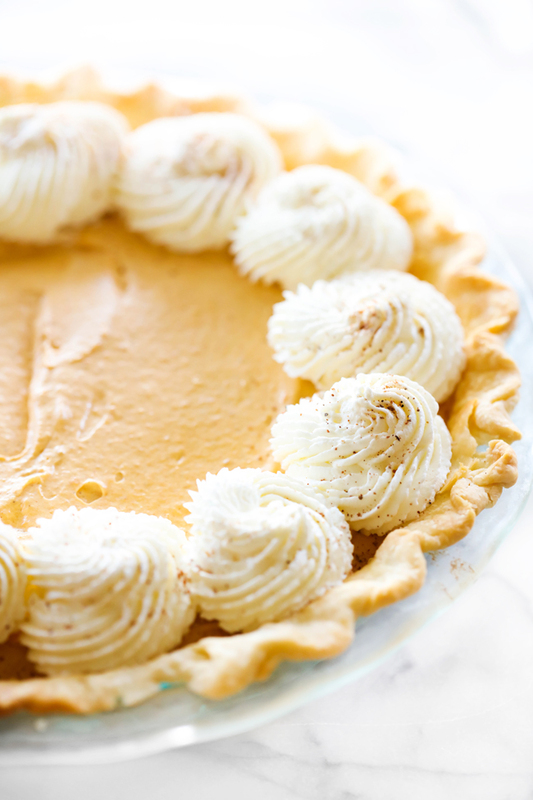 The marshmallow creme lightens and softens the density of classic pumpkin pie into a creamy yet recognizable recipe. If you are looking for a new spin to bring to your dinner table, give this recipe a try! In a large bowl, cream together cream cheese and sugar until smooth. Mix in pumpkin pure, cinnamon, pumpkin pie spice, and salt. Beat until creamy and smooth. Add marshmallow cream and beat again. Pour filling into pie crust and refrigerate for at least 2 hours.